Sri City, November 25, 2016:- Sri City bagged the prestigious Brand Excellence Award 2016 instituted by ABP News. In a ceremony held on Thursday evening in Mumbai, Mr. Satish Kamat, President (Operations) received the award and a citation, on behalf of Sri City. 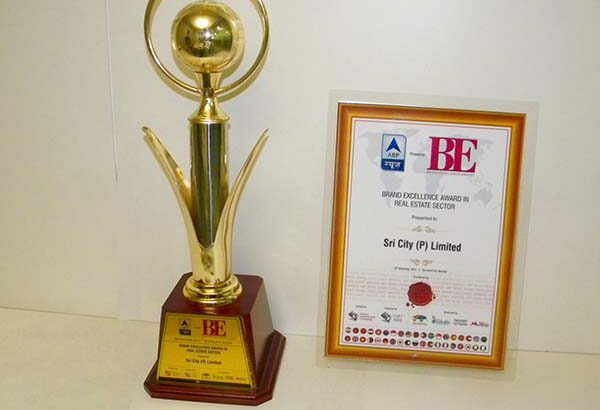 Sri City won this award in recognition its overall performance and extraordinary success achieved through innovative and effective marketing practices. The ABP News Brand Excellence Award is an independent brand rating and recognition exercise, based on financial valuation and by consumer preferences. These Awards are held to foster marketing awareness in the community of professionals and inspire aspirations to achieve marketing excellence. The Mission of the Awards is to educate and disseminate the importance of branding in India, with the aim that a branding culture aided by best practices will position India amongst the world’s great nations.